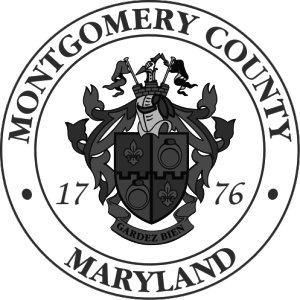 Montgomery County, Get Ready for Community Day! This September, AAHP will focus on helping you and your family eat more fruits and vegetables! Through the Fruit & Veggies—More Matters health initiative, we will spread awareness about the numerous health benefits of fruits and vegetables and provide information and resources to help you choose and prepare delicious, nutrient-rich plant-based meals and snacks. August is National Breastfeeding Month (#NBM17)! AAHP observes by highlighting the unique benefits of breastfeeding for mothers and babies and by showcasing our work promoting and providing breastfeeding education in Montgomery County. African Americans face unique challenges when it comes to mental health. Blacks are more likely to face psychological distress than Whites, but are also less likely to seek professional help. The lower socioeconomic status of Blacks compared to Whites corresponds to poorer mental health, while preconceived notions and stigma surrounding mental health hinder many from seeking treatment. This July, learn more about managing your mental health and what you can do to promote good mental health in your community. On a gloriously bright Saturday in April, people of diverse ages and backgrounds gathered for the Freedom Health Celebration Walk. Hosted in collaboration with Health Freedom, Inc., a non-profit organization focused on supporting all Americans in building good health habits, the Freedom Health Celebration Walk promotes increased physical activity while making creative use of Maryland’s integral role in the Underground Railroad. As participants gathered for event registration and awaited the start of the walk, performers playing Harriet Tubman and Frederick Douglas strolled about, posed for pictures, and delivered monologues. The Circle of Friends Walking Groups donned their brown shirts, with Conductors with bedazzled shirts indicating their roles in leading their group to the freedom of good health. This May, in conjunction with Women’s Health Week from May 14 - 20, AAHP will highlight the unique health concerns women face. Women must learn and understand the value of their health and take initiative to achieve the best health possible. AAHP will host Community Day 2017 on Saturday, April 15 with this year's theme is "Building Bridges." In celebration of the strengthening of our families, neighborhoods, and community, Community Day will feature entertainment and education including health screenings, fitness demonstrations, and fun activities for all ages. AAHP’s annual Community Day will be held on Saturday, April 15 at East County Community Center from 10:00 am - 3:00 pm. This year’s theme, “Building Bridges” celebrates the strengthening of our families, neighborhoods and community. In observance of NBHAAD, on February 9, AAHP's Executive Coalition will host an informational presentation on HIV/AIDS among African Americans in Montgomery County. The event will be from 6:30 pm to 8:30 pm at the Silver Spring Civic Center. 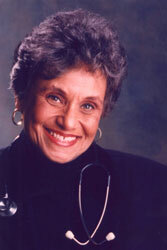 Rebecca Davis Lee Crumpler (1831-1895) was the first African American female physician in the U.S. Born in Delaware and raised in Pennsylvania, Dr. Crumpler graduated from the New England Female Medical College (which later merged into Boston University) in 1864. AAHP will kick off 2017's HIV testing events this Thursday, January 26 at Montgomery College Takoma Park from 10:00 a.m. to 3:00 p.m.
AAHP Executive Committee to host "Dealing with Holiday Blues"
Dealing with holiday blues? AAHP's Executive Committee will hold a discussion on “Dealing with the Holiday Blues” with guest speaker Dr. Cynthia E. Harris, MSW, MBPA, DHA, Special Assistant for Academic and Student Achievement and Assistant Professor at Howard University School of Social Work. The event will be held Thursday, December 8, 6:30 pm - 8:30 pm at the Silver Spring Civic Center. Register here. AAHP will partner with the Montgomery County Alumnae Chapter of Delta Sigma Theta Sorority, Inc. to present World AIDS Day 2016. The African American Health Program's Obesity Prevention Subcommittee invites all to "Healthy Holiday 2016" on Thursday, November 10 from 6:30 pm - 8:45 pm. The event will feature presentations by health and fitness professionals as well as a tasting demo of vegan egg nog. AAHP staff participated in the Prostate Health Education Network's African American Prostate Cancer Disparity Summit on September 15th and 16th in Washington, D.C.
A series of information sessions on prostate cancer, led by Rev. Dr. Adrian Ngudiankama, AAHP's Supervisory Community Health Worker, will take place throughout the County in observance of Prostate Cancer Awareness Month. On Tuesday, July 19th and Wednesday, July 20th at 7:00PM, the Montgomery County Office of Human Rights Office is hosting a town hall meetings. The July 19th meeting will be at the Silver Spring Civic Building and July 20th will be at Up County Regional Service Center in Germantown. November is American Diabetes Month, a time to focus on diabetes and how we can improve the lives of those impacted by this serious health condition. Because diabetes is most prevalent among Blacks compared to all other racial/ethnic groups, the prevention and management of diabetes is a key component in AAHP’s mission to eliminate health disparities. Eating a healthy diet and exercising are the best ways to manage and prevent diabetes. Diabetics must also take prescribed medication and see their doctors regularly. Building a strong personal and professional support system—which can include family members and caregivers as well as doctors, dentists, and mental health counselors—can help diabetics stay healthy. Many diabetics find support groups and health programs like AAHP’s Diabetes Education Classes invaluable. During Diabetes Awareness Month and every month, AAHP supports and encourages people living with diabetes who fight for good health every day. It’s 2018, a brand-new year to arrive at your best and happiest self. For many people—especially Black people—that includes losing weight. According to recent statistics, the obesity prevalence rate among Black Americans was 48.1% compared to 35.5% among White Americans. High obesity rates correspond with health disparities that place Black Americans squarely at the bottom. Let’s work to change that by losing the weight in ’18! Imagine yourself smaller, healthier and living victoriously. Focus on developing good habits that support your weight loss goals such as planning your meals in advance, drinking lots of water, avoiding food from packages, chewing your food slowly, and other healthy eating habits. Losing weight not only benefits your health, it can also enhance your quality of life by giving you more energy, improving your sleep, reducing joint pain, and helping you feel more confident and positive. If you are overweight or obese, a weight loss of just 10 pounds is enough to see these benefits. Here’s to a Happy New Year and a happy new you!